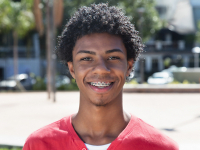 Read our blogs for tips, advice and important information about braces and orthodontics in Coquitlam. AcceleDent is an orthodontic device that can accelerate your orthodontic treatment process by up to 50%. But is it safe? Traditional metal braces are what most people think of when they picture braces. Here, our Coquitlam orthodontists talk a little about these classic orthodontic appliances. 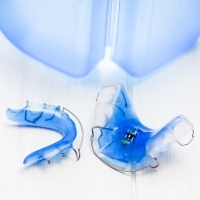 When undergoing Invisalign treatment, there are some essentials that you will need to have with you to keep your aligners clean and fresh while on the go. If you need orthodontic treatment, you may have some questions and concerns about how treatment will affect your daily life. 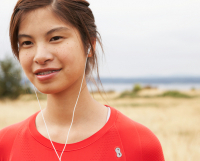 Our Coquitlam orthodontists generally advise against oral piercings whether you have braces or not, because there are so many health risks associated with them. It's very important to take care of your retainer and store it properly when you aren't wearing it. Here’s how to keep it clean and damage free. Invisalign orthodontic aligners can be removed, allowing patients to brush and floss like normal. However, it's important to keep your aligners clean, too. Here’s how. During your orthodontic treatment, you will have to pay regular visits to our Coquitlam orthodontic office, so that your orthodontist can monitor your progress and make sure everything is going as planned. The inside of your mouth will likely become sore and irritated when you first get braces, in reaction to the new metal braces in your mouth. These ideas and products will help you cope! Most of our orthodontics patients lead busy lives that keep them away from home, often for hours on end, throughout the day. Here are the “on-the-go” supplies you should keep on hand to care for your braces. Braces require a lot of extra cleaning, since they create more crevices for plaque to build up. An electric toothbrush can really help to make brushing your teeth easier and more effective when you’re wearing braces.